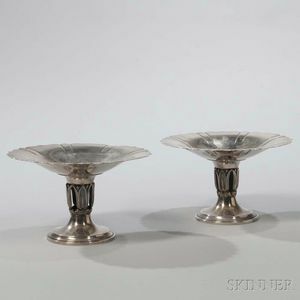 Pair of Modern Sterling Silver Tazzas, lacking maker's marks, with a flared circular dish on a reticulated stem with stylized blossoms, ht. 4 3/4 in., approx. 25.1 troy oz.